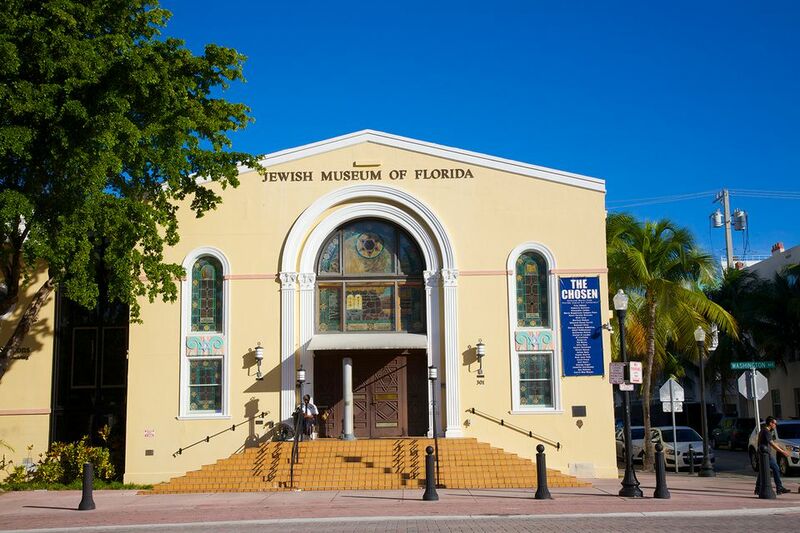 Whether you're a member of the Jewish faith, have Jewish roots or are simply interested in Jewish history, the Jewish Museum of Florida makes for an interesting visit. The museum, housed in two historic synagogues, offers visitors to Miami Beach the opportunity to learn about the history of the Jewish people in South Florida. It’s a great stop for those who are taking the Miami Beach Walking Tour. Synagogue to Museum which highlights the history of the museum itself as it transformed from a site of religious worship to a historical museum open to the public. Jewish Settlement in Florida which follows four Jewish families who came to different parts of Florida at different times in history. L’Chaim: To Life which provides an overview of Jewish religious traditions. The physical museum which dates back to 1929, when it was the first synagogue in Miami Beach. The Jewish Museum is located on Miami Beach. If you are coming from the mainland, take the MacArthur Causeway to Miami Beach. Continue straight off the causeway onto 5th Street and turn right onto Washington Avenue. The museum is two blocks away, at 301 Washington Avenue. You may wish to read more about Parking on Miami Beach before leaving for your trip. If you’re visiting Miami Beach, be sure to read about the Top Ten Things to Do in Miami Beach. If you’re planning a trip to the museum, you might want to stay in one of our Top Miami Beach Hotels. The Jewish Museum is open from 10 a.m. until 5 p.m., six days a week. The museum is closed on Mondays as well as on civil and Jewish religious holidays. Admission to the Jewish Museum is $6 for adults and $5 for seniors and students. Family admission is available for $12 per family. Admission is free for all visitors on Saturdays and for museum members, children under six and holders of the Go Miami Card on all other days.